Continuing with the pursuit of perfection, this section is ideal for all those sports bettors wanting to know the specifics of betting on football and other sports. These articles are aimed to increase an already knowledgeable bettor that simply wants to fine tune their expertise and skills. Learning the intricate ins and outs of sports betting, especially during the football season, has always been the main goal of the successful bettors. Join the ranks of the professional sports bettors by using and sharing the information they already know and wish to share with you. Advanced tips for people wanting to bet on football and every aspect that comes with placing a bet online. Learn to manage your bankroll, control your habits, and conduct the proper research. Learn what it takes to bet on the NFL Playoffs; it includes playoff betting tips and the potential payout. Knowing how to bet during the playoffs is just as important as the bet itself. Use a great system in order to help predict the total points that could be scored for any NFL matchup, and determine whether a bettor should wager on the Under or Over bet with more accuracy. Betting on the future outcomes of the NFL teams and match-ups is called a Futures bet. There are different aspects that a bettor should and need to know when placing a NFL futures bet. These are various strategies that will help a sports bettor pick and bet on the football matches of their choosing. These aspects include handicapping, the bankroll, and the importance of each strategy. A few betting systems that a sports bettor can use during the football regular season. 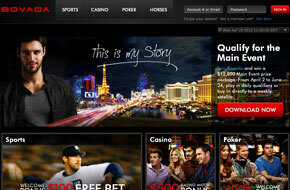 These systems are designed to improve the chances a bettor has of picking the right team. Betting systems that can help the sports fan determine the outcome during the highly competitive Super Bowl. Along with great tips on what strategies work best during the Super Bowl. Sports bettors can learn what spread betting is and how to use it to their advantage while they place wagers on the football match-ups. Spread betting is a great way to increase the potential winnings when betting. Learn to read the football team stats and start to predict the outcomes of the matches in more accurate and precise manner. These tips will help a sports bettor become acquainted with football stats and their uses. Learn how to read the individual NFL player stats and how to use them to your advantage when trying to predict a winner. Individual player’s stats let a sports bettor know how well the pieces of the whole are doing and give them a more specific insight into how a team will perform. Learn one of the basic and most used forms of betting that the successful sports bettors use in order to minimize losses and maximize wins. Middling bets is an advanced betting method, so before trying learn the basics first. The NFL regular season is wagered on in different methods, and a bettor needs to be familiar with these methods. Tips on how to pick the right team and the right outcome based on different information like statistics and the schedule. The NFL regular season is wagered on in different methods, and a bettor needs to be familiar with these methods. Learn to pick the right football team based on research or instinct, and whether or not the sports bettor is in it for fun or for profit. Knowing how to predict which team will win is the best aspect of being a sports bettor. The fun world of proposition betting is at your fingertips. Learn what prop bets are and how to benefit from them. Proposition bets are a way for bettors to enjoy the experience, while they watch the football match. Learn how to become a successful handicapper and use this knowledge to your advantage when placing a wager on the different kinds of possible bets. Use the collective knowledge of the more successful sports bettors. Learn how to bet on the most exciting time of the football season, the Super Bowl. Keeping in mind the strategies and tips that come with being a successful sports bettor, a bettor should be able to predict and wager on the winner. Learning all of the advanced methods of placing bets on football will not only help the sports fan increase their chances of picking a winning team and bet, but also expand their mind and help them enjoy the highly competitive game that is football. These strategies and tips will help a bettor become a critical thinker when it comes to betting, analyzing, and predicting the outcomes of the football match-ups. Always remember to enjoy the process.